Now, N2 Nature2 Express is available for your pool. That means you can experience a revolutionary new approach to sanitizing your pool that gives you the clearest water imaginable. The patented N2 Nature2 Express sanitizer uses minerals to destroy bacteria and algae. Simply install the N2 Nature2 Express' sanitizer at you pool's return line, activate the cartridge and let it do the rest for six months. Then, just sit back and start experiencing a more refreshing pool. 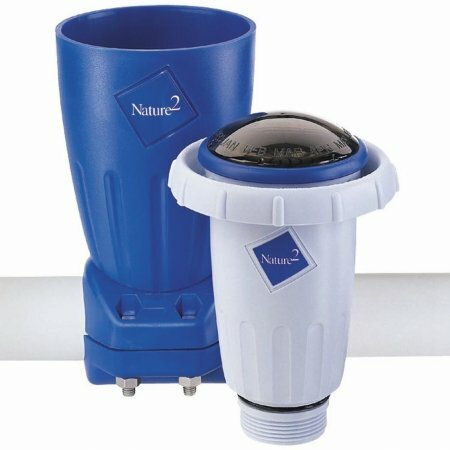 Using a N2 Nature2 Express sanitizer means you can significantly reduce the use of harsh chemicals like chlorine in your pool. And continuous use of N2 Nature2 Express in your pool means less suspended matter and a more consistent pH balance. Just think- N2 Nature2 Express reduces the potential for stinging eyes, skin irritation and unpleasant odors. Maintaining a pool with N2 Nature2 Express is much simpler than using traditional chemical treatments. 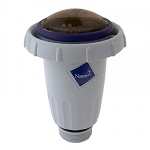 The N2 Nature2 Express sanitizer works automatically and requires no electricity. Pool owners who have switched from chemical programs happily report that they are now spending considerably less time maintaining their pools with N2 Nature2 Express . This means more time for you to enjoy your pool and its fresh, clean water. Water flows through the N2 Nature2 Express Pool sanitizer which contains a layer of minerals which destroys bacteria and algae. The sanitizer contains no moving parts and is unaffected by heavy use, hot weather and water temperature. It provides the ultimate in water sanitation for your pool for six months.